Quieter and wilder than the East, the West Coast is the paradise of Nature lovers. You will find amazing landscapes, infinite deserts and stunning beaches. You will need at least 3 weeks to go up to the West Coast (depending on your travelling speed and your itinerary). From Margaret River to Broome here are all the spots you shouldn’t miss. 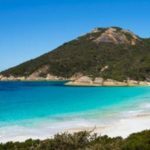 Situated only 3 hours South of Perth, discover the region of Perth. Landscapes are really rich, beaches, hills full of wineries, pine tree forests, etc. There are hundreds of wineries for the pleasure of wine lovers. The area is renowned to produce the best Cabernet Sauvignon of the country. A tour in a winery will give you the opportunity to discover Australian wines that you can enjoy with fresh local products (seafood, cheese, jam, etc.). After having treated yourself with some delicious food, enjoy the white sand beach, the majestic forests and the caves in the rocks. 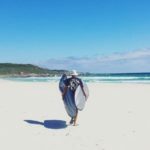 People who like surfing will definitely find their happiness there and will be able to surf on one of the best spots in the world. Going north, stop at Eagle Bay and have a look at the landscape. If you have a bit of time, check out the small towns on the ocean side. You might get lucky and have the opportunity to swim with wild dolphins at Dolphins Discovery Centre in Bunbury. 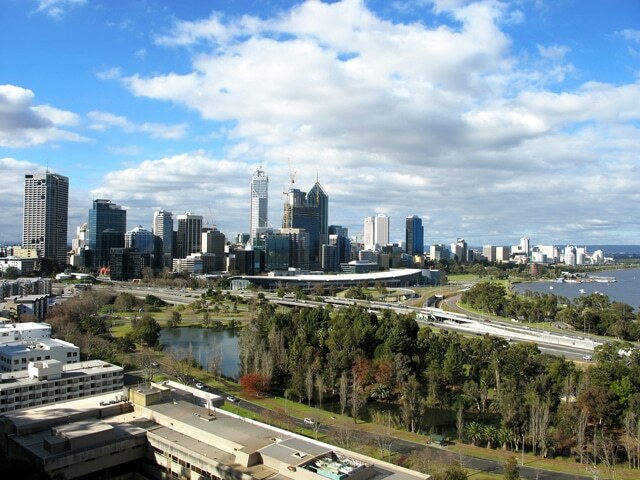 Bordered by the Indian Ocean and situated on the side of the Swan River, Perth is the capital of Western Australia. Cosmopolitan and modern, as well as the most isolated city of the planet, Perth doesn’t stop developing. Wander in Kings Park and its botanical garden. It spreads over 400 hectares; enjoy the space, the BBQs and the park’s wild flowers. The keenest people will climb the 101 steps until the highest point of the park and enjoy a stunning view over the city and the river. Enjoy the city and its suburbs, have a look at fashion and vintage shops, discover the hype cafes and bars of the city. The Perth Cultural Centre, at Northbridge, gathers the Art Gallery of WA (Free – opens from 10am to 5pm) and the WA museum (Free – open from 9.30am to 5pm) where you can discover a large collection of aboriginal art, a 25 meter long whale skeleton, meteorites and the “old jail” built in 1856 and now part of the museum. In January 2016, Perth city inaugurated Elisabeth Quay and its lovely and dynamic waterfront. Opened every day, Perth Zoo is dedicated to Fauna protection and there are more than 160 different species there. Fremantle or “Freo” is a small 25 000 inhabitant town situated 19 km South West of Perth. “Freo” stands out with its character full of history, linked to the 18th century convicts. Nowadays, Fremantle first touristic activity is based on its famous street markets. Try numerous dishes on more than 150 stalls, fruits, veggies, international meals, lollies, homemade stuff, etc. Rottnest Island, 30 minutes from Perth harbour by ferry is also a must do. This little paradise is to be discovered by foot or bike. It is home of the famous Quokkas, the cutest Australian marsupial. 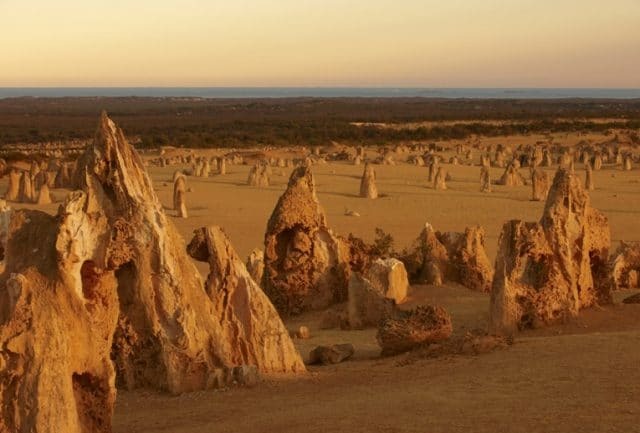 3 hours north of Perth, take Indian Ocean Drive to go to Nambung National Park. The Park is renowned for its Pinnacles looking like dirt stalagmites. It is possible to walk to them or (when climate conditions are optimal) you can get to them by car following a dirt track. After the Pinnacles you can have a look at the town of Cervantes, famous for fishing and its white sand beaches. On your way to Geraldton, stop at the popular beaches of Jurien Bay. 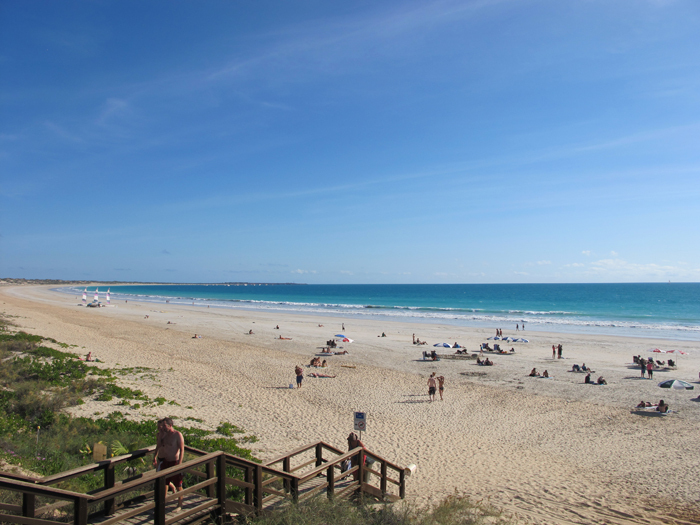 Surfers and kite-surfers will then stop at Geraldton for a dip. A hundred kilometres away you can check out a rare phenomenon in the world, a pink lake. This pretty abnormal colour is due to a special bacteria. There are 2 in the country, the other one is located south (Lake Hillier). The access to the Hutt Lagoon is through the small town of Port Gregory. Keep driving towards Kalbarri National Park. Driving along the Indian Ocean, enjoy the numerous points of view where you can observe the red cliffs (Red Bluff, Mushroom Rock Walk Trail, etc.). Once at the National Park observe the fauna and flora. 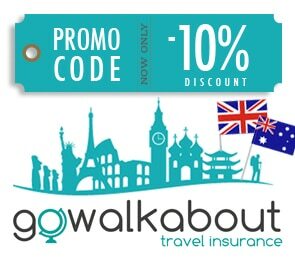 You have the choice between various activities, bushwalking, kayak, cruise, 4WD. Also, the Nature’s Window spot is unmissable. 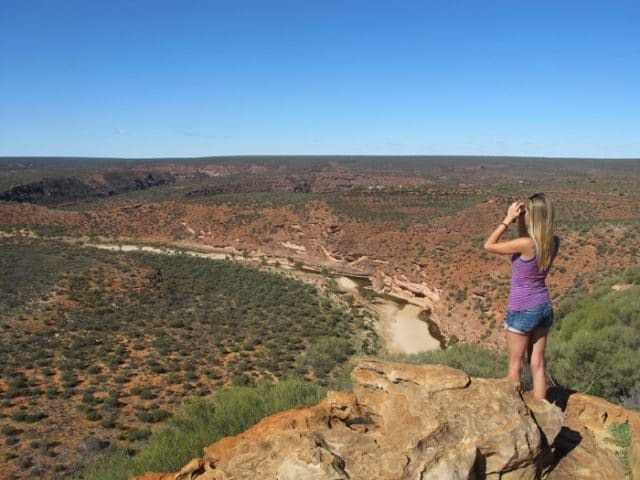 The rocks, sculpted by years have become a natural window, giving a stunning view on Kalbarri’s gorges. 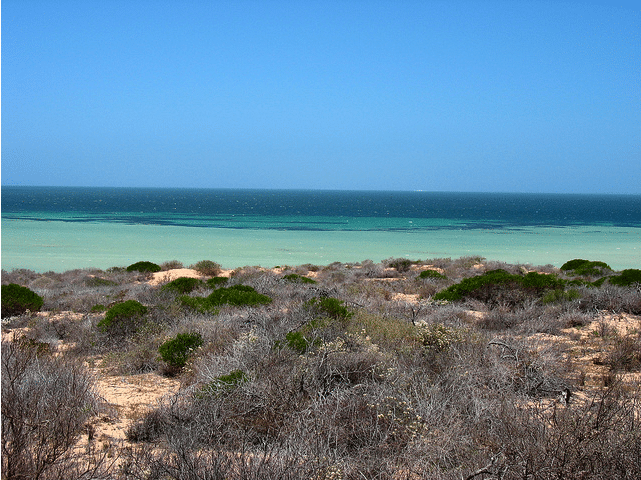 Further north, Shark Bay National Park is one of the biggest marine sanctuaries in the world. Famous for Monkey Mia, real touristic attraction, you will be able to get close to dolphins and maybe even feed them some fish. Shark bay is also home of a diversified marine fauna, whales, manta rays, dolphins, sharks, dugongs, etc. Renowned for its incredible ecosystem, you will be fascinated by François Perron National Park where you will find one of the only sites in the world where you can see marine stromatolites. These exceptional geological formations alike domes would have been built by germs 350 000 years ago. A bit further Shell Beach lives up to it’s name being made out of shells. Carnarvon is a coastal town. With a subtropical climate, temperatures are nice all year long. 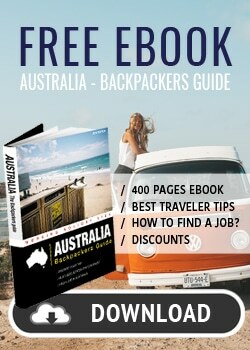 The city is famous among backpackers looking for a farm job. There are many fruits and veggies farms but competition is strong. Keep driving to Exmouth, until you reach the famous Cape Range National Park. There are numerous tracks to go bushwalking in the National Park. You will need at least a day to enjoy the park. You can go to Oyster Stack and Turquoise Bay to keep exploring Ningaloo Reef. 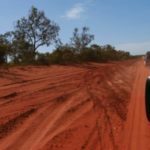 Cross the 550 kilometres desert from Exmouth to Karratha. Stop at each roadhouse to fill up your car and have a break. As you can see, there is not really any interest in this part of the coast. Karratha is a small coastal town situated North West of Australia. It is the biggest town in the area before Port Hedland. It is essentially industrial. 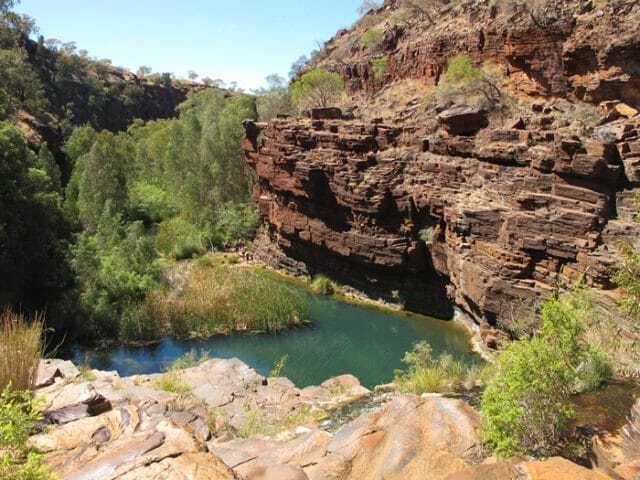 A few kilometres away, further in the bush, discover the jewel of the Pilbara, Karijini National Park. With its 6274 km², it is the second biggest park of Australia. Situated a thousand kilometres north from Perth on the Hamersley Mountains, it is renowned for its stunning gorges and waterfalls. There is a large fauna, kangaroos, echidnas, geckos, goannas, snakes … There are many bushwalks, we really advise you to check out Fortescue falls or Fern Pool. Tom Price, the closest town, is situated 80 kilometres away from the park, in the heart of the huge Marandoo mine. 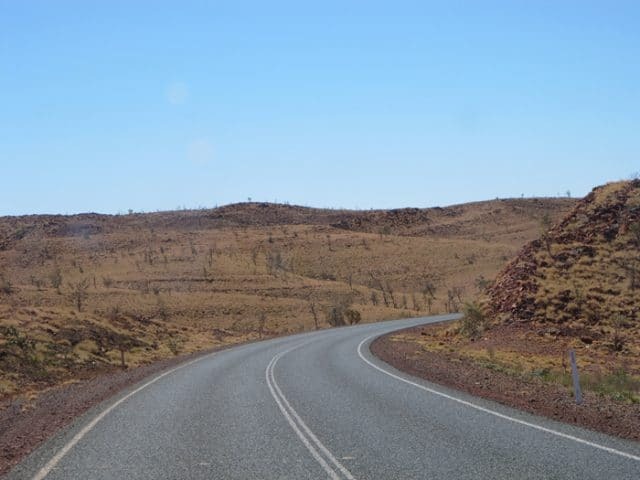 The road between Karratha and Broome is mostly deserted. Port Hedland is a harbor town on the Northern Australian coast. In deep sea water, the harbour is the mostly use for mineral and salt transportation. Climate is extreme, with extremely high temperature and low precipitation. There is only one beach (Pretty Pool) be aware of the crocodiles. Considered as the entry door of the Kimberley area, the charismatic town of Broome deserves a few days stop over. This little touristic town is the meeting point of the red dirt desert and the turquoise water of the Indian Ocean. Enjoy the sunset ridding a camel on Cable Beach. Discover the history of the pearl industry and admire the most beautiful pearls in the world in the city centre shops. You will even discover dinosaur foot prints at Gantheaume Point. Each year from March to October, the phenomenon Staircase to the moon takes place. The moon reflects on the ocean creating a kind of a staircase. A perfect opportunity to share a beer on the beach while taking some pictures for your Instagram account. Broome is also offering great markets; you can for example go to the Broome Courthouse Market on Saturday and Sunday mornings or during full moon nights (April to October). To give you an idea, consider around $1200 for 3 weeks, 2 people in a basic van (without counting the rental). Which means, $S650 on fuel, $300 on food and $250 on extra. You will easily find a camping spot on the road. 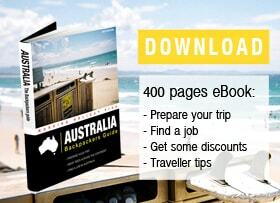 However, consider buying a guide such as “Camps Australia Wide” or the application “WikiCamps“? Main companies: Britz, Apollo and Travellers Autobarn. Be careful, there aren’t all located in Broome. We would advise you to go up to Darwin to take the van back. 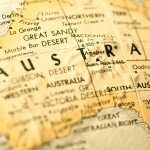 Most of the tours available on the west coast are situated at Coral Bay or Exmouth. You can swim with whale sharks, manta rays, snorkelling, or go diving on the great barrier reef. Australia being divided by the tropic of Capricorn, there aren’t ideal seasons. If you are leaving in January it will be summer in Australia. It will be nice and worm south but crazy hot and humid north. In June, it will be a bit chilly south and hot and dry north. The best is to leave mid-season (February/March or September/October). On the road, remember to fill up your tank often because distances are huge. Also remember to absolutely bring a lot of water!! !